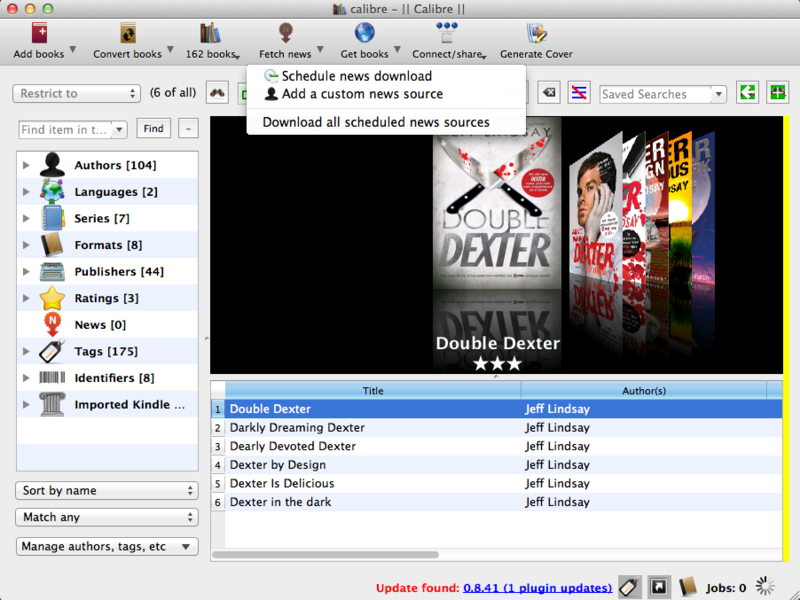 You can even configure Calibre to download articles from feeds and create Kindle periodicals. It is also possible to schedule automatic creation and transfer. I am personally using this procedure, because it’s very reliable and I can control every aspect of it. Calibre also fetches referenced webpages and includes pictures in the created periodicals. I recommend using the portable version of calibre, because you can just copy the folder to a new system without losing your settings. Start calibre and use the configuration wizard, then head over to settings. 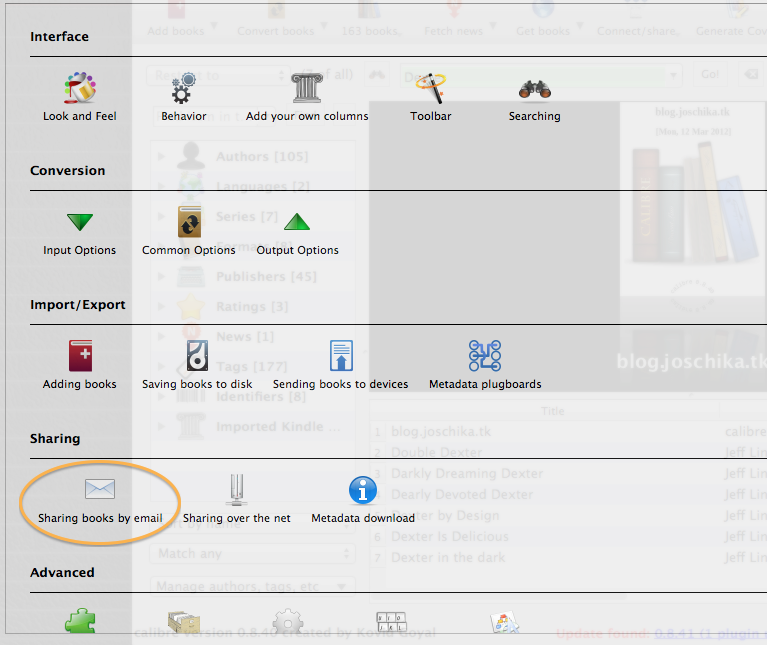 Then go to ‘Sharing books by email’.. Check if your Kindle address is correctly configured and that ‘Auto send’ is checked! Also make sure that you allow the mail address, that Calibre uses to send your periodicals, in your Kindle settings for personal documents. Apply and close settings now. Click on ‘Fetch news’ and check if your desired feed is already available. There are more than 600 available feeds from which you can choose. The scheduling is very easy – just check the box for the scheduled download and configure how often Calibre should download the feed. If you want calibre to process a feed more than one time a day – choose ‘Every x days’ and enter an amount smaller than 1. If you enter 0.25 Calibre will process the feed every 6 hours. If your desired feed is not available, then open the context menu of ‘Fetch news’ by clicking on the downwards arrow. And choose – as you may already could think of – ‘Add a custom news source’. 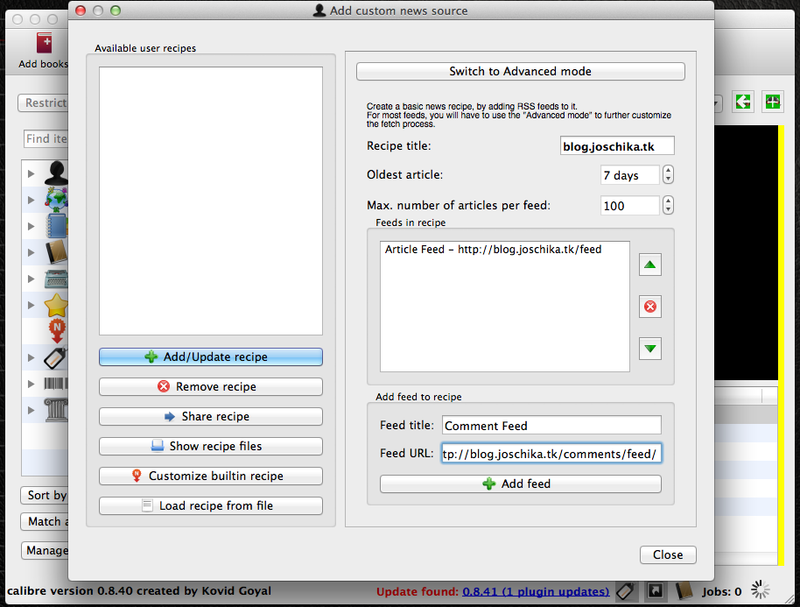 Now enter the title of your ‘Recipe’ – mine here is ‘blog.joschika.tk’ and add feeds at the bottom. I added my article and my comment feed to this custom news source. Don’t forget to press ‘Add/Update recipe’ when you have finished! After you added your custom source, you can schedule it by clicking on ‘Fetch news’ again and selecting your custom source. 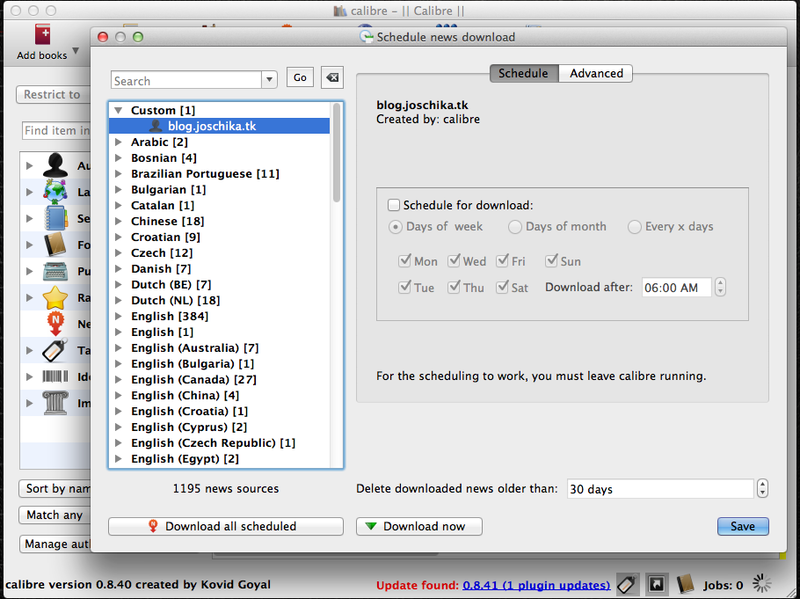 Important: Scheduling only works if calibre is running!